A new poll released on Monday suggests that the frontrunners for the Republican presidential nominee race might not be so difficult to pinpoint after all. The study by the University of Texas and The Texas Tribune asked 1,200 registered voters to select the candidate they would most like to see as the official GOP nominee going into the 2016 election, and while Wisconsin Gov. Scott Walker had gained a considerable edge on the rest of the pack, the Lone Star State's own Sen. Ted Cruz managed to top the presidential shortlist once again. The poll also showed that former Texas Gov. Rick Perry, who had previously sat in second place with 14 percent of the vote, had dropped off the radar into fifth place. Of the voters surveyed, 20 percent placed their bets with Cruz, who is currently serving as the chair to the Senate Subcommittee on Space, Science and Competitiveness (which oversees NASA). Walker clocked in at a close second, taking 19 percent of the vote. Further down the line were Jeb Bush and Ben Carson (both 9 percent), Perry (8 percent), Mike Huckabee (5 percent), and Rand Paul and Marco Rubio (both at 4 percent). At the bottom of the poll numbers were Sarah Palin and Chris Christie, at 3 and 2 percent respectively. It makes plenty of sense that a poll out of a state university given to Texan voters would register a Texas Republican as its top pick — but that might not be the only thing keeping Cruz's head above water. It's very interesting. Democratic senators privately will admit all sorts of things. But it's really disturbing: Democratic senators have been unwilling to stand up to this president, really on almost anything. ... We've had presidents in the past who have abused power. But when that has happened — when Richard Nixon abused power, Republican senators stood up to him and said, "Mr. President, you've gone too far." In fact, it was Republican senators who went to the Oval Office, … and said, "Mr. President, it's time for you to resign." What is strikingly missing are Democratic senators who have more commitment to the Constitution and rule of law than they do to their party. At a time when the American public continues to lose trust in the government with each passing year (a 2014 Gallup poll showed that 57 percent of the country had "very little" trust in Congress and less than 30 percent had "quite a lot" of trust in the presidency), Cruz's accusation of non-transparency and corruption may not necessarily be true — but it certainly garners favor with conservatives. Cruz has been quick to jump on whatever issues seem to be plaguing the middle class the most in recent months. In a panel meeting with wealthy donors on Jan. 25, Cruz pointed out the apparent hypocrisy of both Obama and other leading Democrats who used their pulpits to speak out against income inequality, alleging that the gaps between the middle and upper class had widened considerably since Obama first took office in 2008. "I chuckle every time I hear Barack Obama or Hillary Clinton talk about income inequality, because it’s increased dramatically under their policies," he told audience members. "... The people who have been hammered for the last six years are working men and women." The Washington Post was quick to point out that the rise in inequality was minuscule compared to previous years, but any attempts at course correction were largely wasted — Cruz had already established himself with registered voters as the charming, unwavering underdog who would supposedly hold his colleagues on both sides of the aisle accountable for their actions. 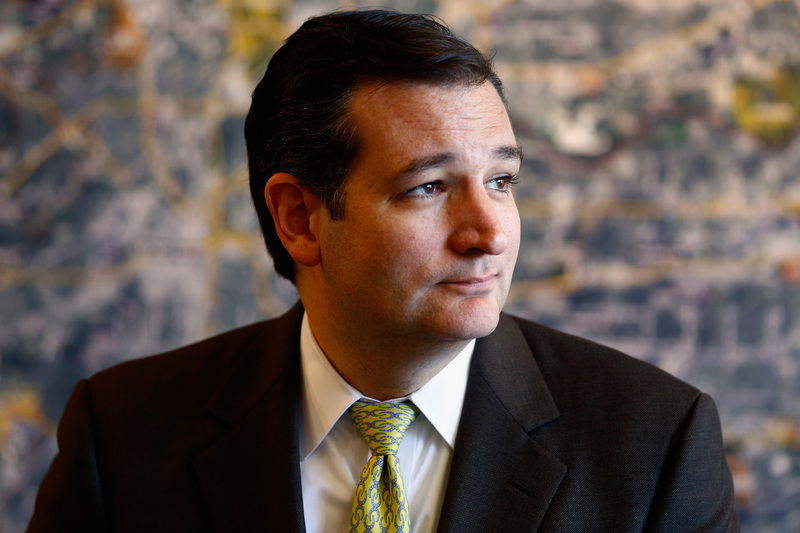 Whether Cruz will end up as the eventual GOP presidential nominee is still up in the air. But if recent poll numbers, the public's perception of a wayward government that desperately needs to be reigned in, and Cruz's own political counter-moves are any indication, there's a good chance the Texas senator might end up on top.